The Pest XT battery powered cat repeller is designed to send out ultrasonic sounds to scare cats away from areas where they cause a nuisance. The sound cannot be heard by humans. Use the metal spike pushed into the ground at a depth of 11 centimetres. The ideal height is between 13 and 35 centimetres where it will detect cats that move within range of 8 metres and a radius of 110° degrees. An ultrasonic sound will then be emitted for 5 seconds. 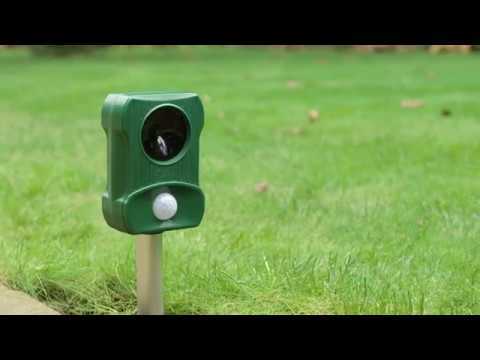 Place the repeller in a position where animals have been active along paths or around flower beds. It covers a 110-degree arc, to a distance of up to 26ft (8m), giving a total unobstructed working area of (286 Square feet).